Aidan Cole and his friends are a band of savvy—if cynical—New York journalists and bloggers, thriving at the intersection of media and celebrity. They meet at loft parties and dive bars, talking of scoops and page views, sexual adventures and new restaurants. And then, without warning, a bomb rips through a deserted midtown office tower, and Aidan’s life will never be the same. 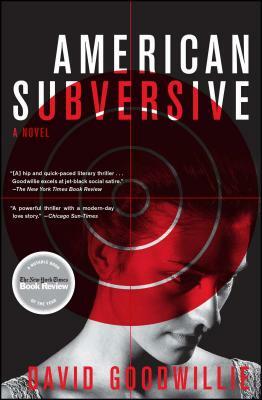 An astonishing debut novel, American Subversive is a “genuinely thrilling thriller” (NewYorker.com) as well as “an exploration of what motivates radicalism in an age of disillusion” (The New York Times Book Review). David Goodwillie is the author of the novel American Subversive, a New York Times Notable Book of 2010, and the acclaimed memoir Seemed Like a Good Idea at the Time. He has also played professional baseball, worked as a private investigator, and was an expert at Sotheby's auction house. A graduate of Kenyon College, he lives in New York City.